We'd recommend the Avalon Hybrid over the standard version. Equipment levels are similar, and what's given up in handling and acceleration, is paid back in exceptional gas mileage. The 2017 Toyota Avalon gives the full-size sedan a good name, with its exceptional space and style. The Toyota Avalon doesn't beg you to own it or drive it. It puts comfort to the fore: it's comfortable like a pillow-top bed, and no longer rides or handles like one. 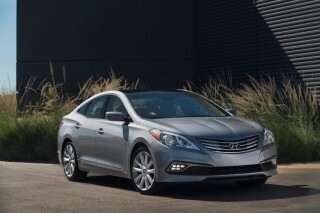 This year, it's offered as an Avalon XLE, XLE Plus, XLE Premium, Limited, or as an Avalon Touring. 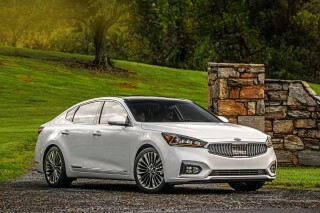 Avalon Hybrid sedans come in XLE and sporty Touring trims. The big news for 2017, though, is that Toyota has made a suite of safety gear standard, including forward-collision warnings with automatic emergency braking; adaptive cruise control; automatic high beams; and lane-departure warnings. The main rivals for the Avalon include the Chevy Impala, Hyundai Azera, Kia Cadenza, and the Ford Taurus. Toyota redesigned the Avalon in 2013, and gave it more visual distance from the Camry that shares its running gear. It now has real presence, thanks to a swoopy roofline, flared-out rear fenders, and laid-back rear glass. Inside, the Avalon's contemporary layout and look still wears flush, touch-based dash switches for a clean, high-end-audio look. Cabin materials are superb, and fit and finish is up to Lexus standards. Avalons come in gas or gas-electric form. 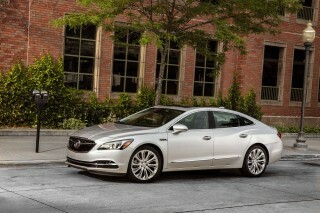 A strong and smooth 268-hp, 3.5-liter V-6 is the stock powerplant, but the Avalon Hybrid drivetrain gets our attention. With 200 hp from its combination of motors, batteries, and an inline-4, the Avalon Hybrid is reasonably quick and astonishingly efficient, at 40 mpg on the EPA combined scale. This latest Avalon feels more composed and refined, too. We wouldn't call it sporty, but it's struck us as supremely capable and controllable in a way that older models weren't. It has completely abandoned the floaty ride and senseless steering of the past for a direct but not firm road feel. The EPA hasn't compiled numbers for 2017 yet, but it put the V-6 Avalon at 21 mpg city, 31 highway, 24 combined last year. The Avalon Hybrid's EPA ratings of 40/39/40 mpg make it one of the most fuel-efficient large sedans in any driving situation, and definitely the most efficient for city driving and stop-and-go traffic. The Avalon is roomy, modern and thoughtfully composed. The front seats could use a little more lateral support, but the back seats are among the best you can find in large sedans. The Avalon gets a 16-cubic-foot trunk, and with a flat floor and wide opening, you can fit a lot of grocery bags. Hybrid models have a slightly smaller 14-cubic-foot trunk, but the lost space is a small sacrifice for the efficiency gains. The Avalon offers a strong list of safety features, including separate rear side-thorax airbags and front knee bags, and crash-test ratings have been almost perfect across the board. All models come with a rearview camera, while blind-spot monitors are standard on Touring models. 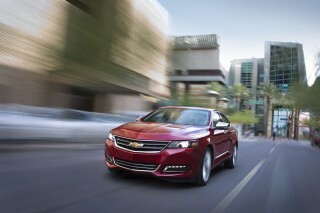 The Avalon is plushly outfitted, with power features, leather, and a 7-inch touchscreen that governs the audio system. Avalon XLE and XLE Plus models get woodgrain trim, while XLE Premium models get navigation and Qi wireless smartphone charging. Touring models get gray 18-inch wheels, a unique front end, and LED headlights. Top Limited models pile on the premium tack, with perforated leather upholstery, heated-and-ventilated front seats, heated rear seats, three-zone automatic climate control, a rear sunshade, 785-watt JBL audio, HID headlights, and LED daytime running lamps. There's no longer any Camry in the Avalon's shape; it's a refreshing, contemporary look for Toyota. Stylists in California and Michigan drew latest Avalon with the well-to-do tastes of older-middle-age empty-nester America in mind. It's a brisk lane-change from the previous Avalon, not quite up to the effortless panache of an Audi A7, but completely removed from the Camry's wake. From the side, the Avalon's roofline sits nicely above the more subtle arc in the beltline, and a rear pillar arc fits right in with it, tapering gradually to the back. In back, last year's new taillights advanced the rear end toward a Lexus feel. If we had to point to a single touch that gives the design punch, it's the rear fender, and the way the sheet metal so gracefully flows from the roofline and the doors. Toyota updated the look in 2016 with a wider grille and LED headlights on the Touring model. Inside, the latest Avalon is no Camry knockoff. Toyota wanted the new Avalon to have a premium feel and look, and it shows. The climate and audio have capacitive controls sit on a plane closer to the driver, above a layer that's trimmed with wood grain and an attractive striated surface, which itself is stacked over a dash zone framed in metallic trim. The cabin's theme is one that's been styled into most of the current generation of Toyotas, but rises above the usual swipe of differently textured plastics. The Avalon long ago gave up on pillowy ride and mediocre power; now the performance is as silky as the style. When the Avalon was remade for 2013, the lineup showed up with two powertrains including a powerful V-6 and a very efficient and responsive Hybrid model, the first gas-electric version of Toyota's biggest sedan. Handling was also greatly improved then, and the 2016 refresh brought with it two newly calibrated suspension setups. Engineers borrowed from the Lexus playbook to give the Avalon more driving personality, and tweaked the setup last year. 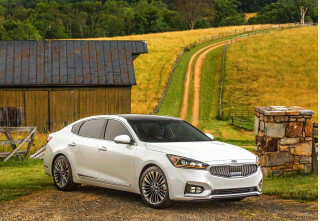 The sedan now has a capable, controlled feel that isn't quite sporty—but it's a far cry from the Avalon of the past, where queasy body motions and excessive ride motion were the order of the day. Now, the Avalon's ride quality is completely sorted. The pillowy motions are gone, and body motion is quelled. It has more of a modern luxury-car ride: firm but not harsh, and just absorbent and yielding enough to completely filter out most road roughness. The Hybrid is notably good. Thanks to a stronger, stiffer, lighter-weight structure, the V-6 Avalon weighs less than before, for a total of about 3,500 pounds. Hybrid models are only about 100 pounds heavier, meaning they avoid the overweight feeling that often accompanies battery-laden vehicles. In real-world driving, even ignoring fuel economy, the Avalon Hybrid emerges as the unlikely winner; factor in the 40-mpg city and 39-mpg highway ratings, and it's easily the best bet. Press Sport mode for the Hybrid, and the electric-motor system and quick tip-in give you the confidence to pass briskly or power out of a corner. What's more, we think that the Hybrid even feels better-balanced at times in corners when approaching the limit—perhaps because the battery pack in back gives it better weight distribution. The standard Avalon powertrain is Toyota's familiar 3.5-liter V-6, putting out 268 horsepower and 248 pound-feet of torque. 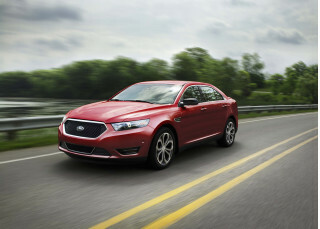 The included 6-speed automatic offers a sport-shift mode, and incorporates throttle blipping for smoother downshifts. All V-6 models get paddle-shift controls, as well as Eco, Normal, and Sport driving modes that adjust steering, throttle, and shift feel. The V-6 versions hit 60 mph in just 6.7 seconds. The Avalon Hybrid has a 2.5-liter Atkinson-cycle inline-4 teamed with two motors tucked into the transaxle, which are fed by nickel-metal hydride batteries. Power is routed through Toyota's tried-and-true planetary power-split continuously variable transmission setup. The system combines for 200 hp and coaxes 0-60-mph times of 8.2 seconds out of the Hybrid four-door. Three driving modes are offered in the Hybrid: EV, Eco, and Sport. EV mode allows running on battery power alone at speeds of up to 25 mph, while Eco mode cuts down on throttle response and HVAC output. Sport mode sharpens the Avalon Hybrid's throttle and transmission responses to feel quicker, even if it's not ultimately much faster. The Avalon delivers on all its big-car promises; five can sit in hushed comfort. 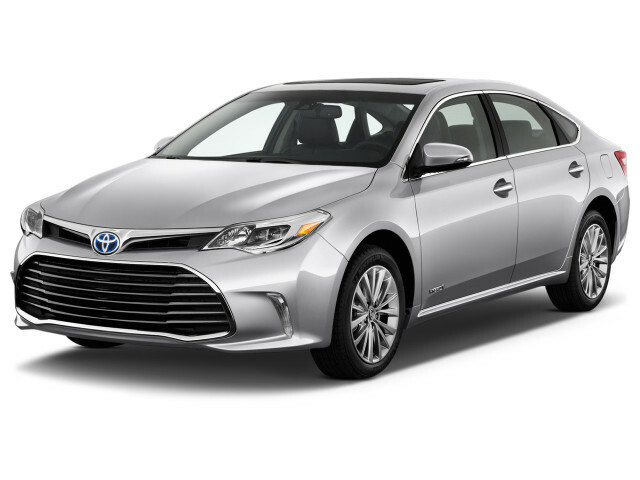 With today's Avalon, Toyota has dialed back some of the vast space of previous models, and has focused more attention on delivering a quiet, stylish interior that still has enough room to seat up to five adults. Toyota redesigned the Avalon for the 2013 model year, and it relented on the formal roofline that had given the car copious back-seat room. It's still a long-wheelbase, front-drive sedan, so while the roofline is lower, the space inside is just slightly smaller. The front seats are a bit lower, but in tandem with a lower dash, the Avalon now has a more airy feel inside. The seats themselves don't have a lot of lateral support, but there's enough lumbar and backrest padding to ensure a comfortable ride for long trips. They're also upholstered in impressive, supple leather, with real stitching; Limited models receive ventilated premium leather. The cabin can easily fit four large/tall adults, and three adults of moderate size can tuck in easily on the back bench. The back seating positions are contoured well for adults and have relatively long lower cushions to provide thigh support. There's not only plenty of leg room but also head room. You'll need to tuck your feet and duck your head a little bit when getting in and out, but with today's swoopy rooflines, that's the norm. Top-notch materials, thoughtful details, comfortable seats, and futuristic capacitive dash controls abound in the Avalon, and throughout there's really nothing to keep you from thinking that this is a luxury vehicle—nothing but the badge, that is. Up close, cabin materials are superb, and also a full league above those in the Camry. The dash and upper door trim are covered in soft-touch material, and the grains actually match throughout the area in the driver's sight. The Avalon performs well in crash tests, and has lots of standard safety technology. The 2017 Toyota Avalon fares well in crash tests, and this year it's fitted with even more standard safety gear. The IIHS, meanwhile, rates the Avalon as a Top Safety Pick, meaning it rates as a "Good" in all impact tests, including the tough small-overlap category. The Avalon's automatic emergency braking system has been rated "Superior," while its headlights are either a "Marginal" or a "Poor" in the IIHS' new-for-2017 test. Opt for an Avalon Touring with its LED headlamps and the IIHS says the lights are slightly better than the halogen units used across the rest of the lineup. The best of the group, however, are the HIDs available on the Limited and Hybrid, which rate "Acceptable." Electronic stability control, anti-lock brakes with Brake Assist, a Smart Stop brake-override system, and 10 airbags are included in all Avalon models. Driver and front-passenger knee bags and rear outboard seat-mounted bags are included in that safety set, which goes beyond what's usually included in large mainstream-brand sedans. Toyota also includes a rearview camera on all models, which is good compensation for the sometimes difficult-to-judge rear end. Adaptive cruise control, a pre-collision system, lane-departure warning, and automatic high-beams are standard on all Avalons as of the 2017 model year. The available blind-spot monitors are tuned to detect vehicles larger than 125-cc motorcycles at speeds over 10 mph, and with a speed differential less than 27 mph, to help reduce false signals, and it warns you with a beep and screen message. Apple Car Play and Android Auto are notable omissions, but every Avalon gets high-tech safety gear. The Avalon is offered in XLE, XLE Plus, XLE Premium, Limited, and Touring trim; Avalon Hybrids are sold in XLE and Touring trim. Every Avalon comes with power features; cruise control; climate control; leather seats; power heated front seats; and a rearview camera. XLE Plus models add a universal garage-door opener and a moonroof. 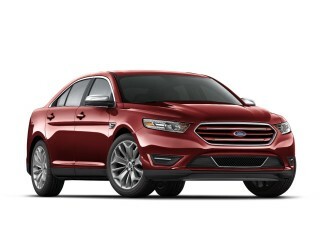 XLE and XLE Plus now include tire-pressure monitoring as well, and both come with 17-inch alloy wheels. These models are excellent values, especially with the addition of standard forward-collision warnings with automatic emergency braking, lane-departure warnings, automatic high beams, and adaptive cruise control. On the Avalon Limited, Toyota adds heated-and-ventilated front seats, perforated leather front seats, heated rear seats, three-zone automatic climate control, HID headlamps, a rear sunshade, and LED daytime running lights. The Avalon Limited essentially has a Lexus-caliber set of features—and for the most part, Lexus ambiance—all at a price that's a few grand less than the Avalon's Lexus ES cousin would be with some of the same items. Between the models you can essentially get three different audio/infotainment systems. 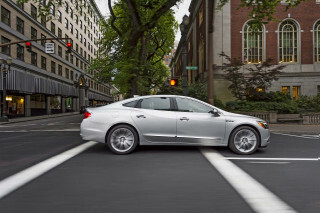 XLE and XLE Plus models come with an Entune-equipped 7.0-inch touchscreen infotainment system. This system can run different apps by using the data connection through a paired smartphone. Avalon XLE Premium models step up to a 490-watt system with navigation as well as the Entune App Suite. At the top—and only in the Limited—there's a 785-watt JBL premium audio with hard-drive storage. Toyota continues to ignore the smartphone universe and has not adopted Apple CarPlay or Android Auto in its Entune interface. It's a serious demerit; those systems have proven to be superior and more streamlined than almost all manufacturer systems we've tried. The Avalon's gas mileage is fine in gas models, stellar in the Hybrid. For the 2016 model year, the Avalon earned ratings of 21 mpg city, 30 highway, 24 combined from the EPA. That's better than some models in this size class, despite the Avalon's 6-speed automatic and powerful V-6. The 2016 Avalon Hybrid's EPA ratings of 40/39/40 mpg make it one of the most fuel-efficient large sedans in any driving situation, and definitely the most efficient for city driving and stop-and-go traffic. Its highway number contributes to a bladder-bursting range figure—680 miles on a single tank of regular unleaded. For just a couple thousand dollars more than a comparable gasoline-only option, the hybrid Avalon drives just as nicely, and returns double the fuel economy in the city as the V-6.